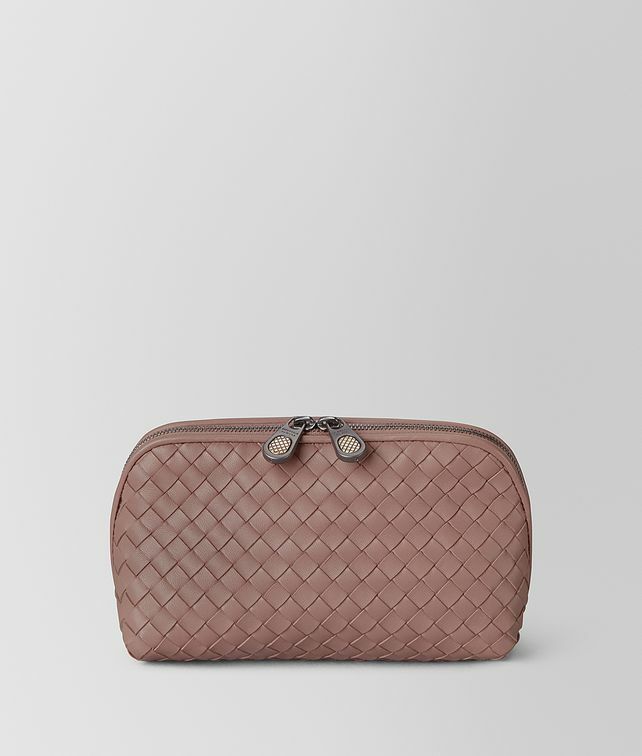 A refined travel essential, this cosmetic case is crafted from soft nappa leather in a new construction that gives our iconic intrecciato weave a framed effect. The design is detailed with double seams, hand-painted edges and a leather interior. It is finished with a double zipper that is finely engraved with the intrecciato pattern. Width: 16.5 cm | 6.5"